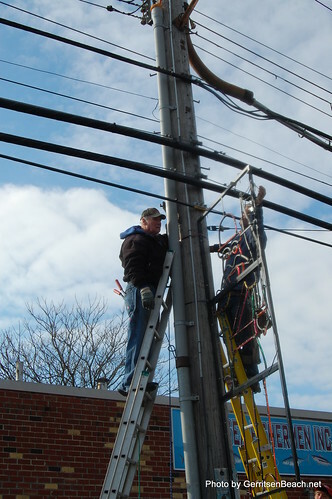 GB Cares volunteers again put up Christmas lights on Gerritsen Avenue this weekend. All of the lights look great. 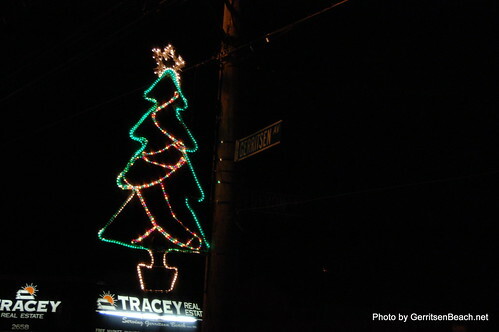 They added a banner lights this year across Gerritsen Avenue @ Florence. The volunteers did not appreciate the HUNDREDS of cars going 40MPH or more driving past them as they were working. They took offense to all of the speeding, so much so that they had someone dedicated to placing cones and being visible to warn drivers. They hope as much as I do that you get coal in your stocking. I will be taking a few Gerritsen photos real soon. Thanks to the past donations from residents, local businesses, organizations and elected officials, we have decorations to install each year. 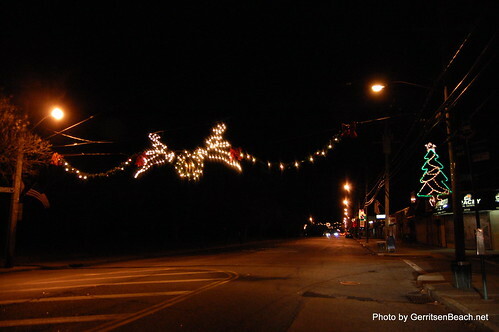 We want to give a special thanks to everyone that helped fix and install the decorations on Gerritsen Avenue. If not for the volunteer work of Bob Banham, Kenny Doll, Buddy DeWitt, Bob Oâ€™Reilly, Janet Behrens, Dan Smith, Joe Bartha, Tayler Smith, Raymond Schaefer, Joe DeSimone, Billy Steen, Phil Parker, Larry Vinson, Sean Murphy, Chris Neftleberg, Anthony Baisden, Richie Bowers, Nick Dragonetti, and Rick Wagner of Green Leaf landscaping the cost for decorating Gerritsen Avenue would be in the tens of thousands of dollars each year. The cost this year for the new decorations and other supplies will be about $2,500. after work it’s saying I’m home. Bravo to all of you & Merry Christmas!!!!!!!!!!!!!!!!!!!! !